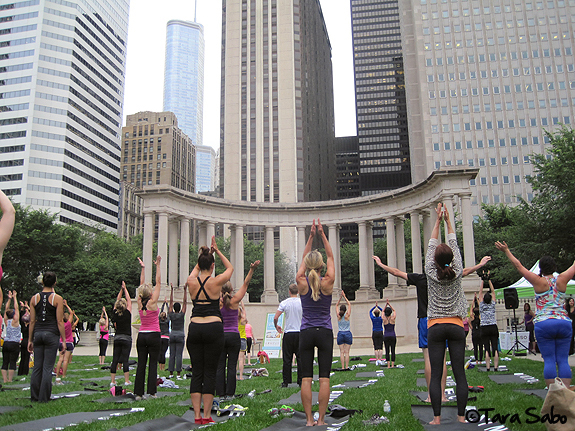 A Daily Dose of Fit: #BlogHer13: Conference Goals...Success or Failure? 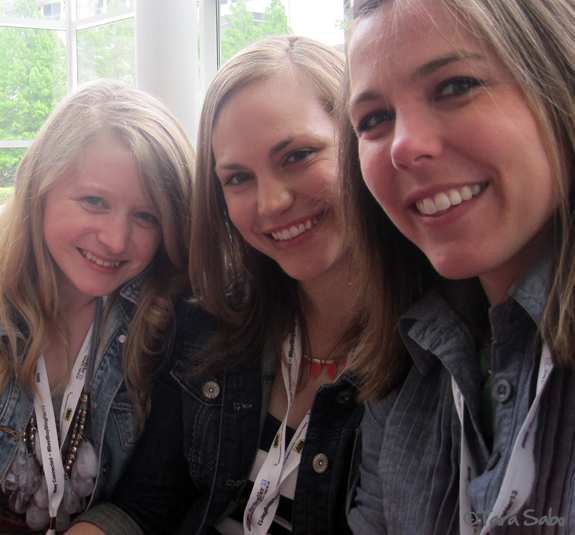 #BlogHer13: Conference Goals...Success or Failure? 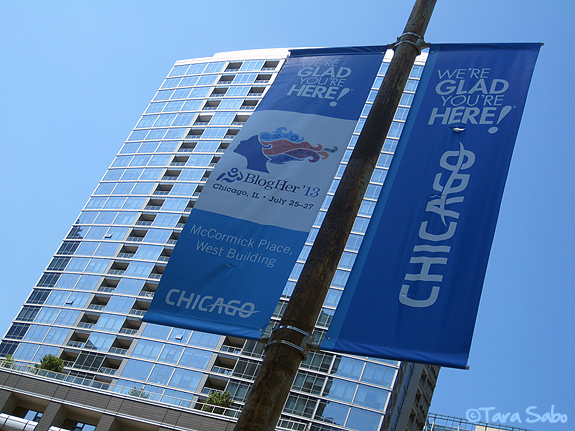 BlogHer 2013 has come and gone, and I must say—what a weekend! The energy that spills out of such a situation is incredible. So many bloggers, all united by their passion for sharing no matter what it is they share. I learned a lot this past weekend. About myself, my blog and about others. I am still processing the entire experience, and I am completely and thoroughly exhausted by it all! I got home Sunday afternoon, transferred my luggage from car to house, then spent the rest of my day hanging out with the family. I was only gone for a weekend, but it felt like forever and it was good to be home. It's now Tuesday. What happened to Monday? Note to self: Take a day off post blogging conference. I took a nap yesterday afternoon. For real. Me = Zombie all day. Anyway. I'm back up and at it today. Spinning followed by Kettlebells followed by blogging. So. My BlogHer 2013 goals. Let's take a look at them and see how I did. 1) Don't let anyone dull my sparkle. I wasn't sure how I'd feel around a group of my blogging peers. I tend to succumb to the intimidation factor, residing myself to being not as good or not as worthy. But I'm so proud of myself for not feeling that at any point this entire weekend. I know my blog isn't the biggest, best or whatever, but it's my blog and I'm extremely proud of it. Not a single person took that pride away from me this weekend. Rather, I didn't let a single person take that pride away from me. It wasn't even an issue. That's the beauty of this community, so I've learned. The support, it's just everywhere. 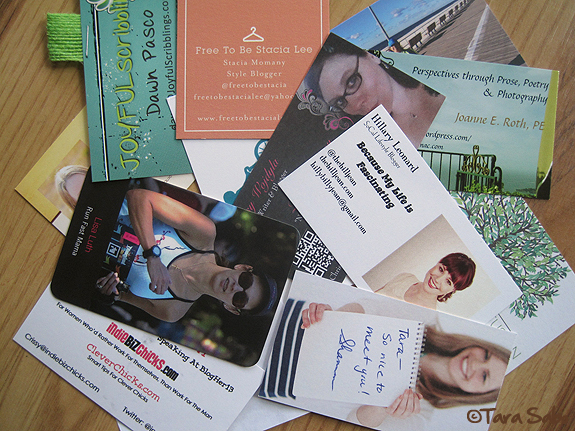 2) Put the business cards to use. Translation: Meet at least ten new people. I met a ton of people this weekend. Way more than ten. There weren't a lot of fitness bloggers there, but the very first person I did meet was Lisa of Run Fast Mama who resides in Michigan. Karma? I believe in it. And the very first panel I attended, I sat next to Shannon of Skinny Sometimes...she and I hit it off, and spent a bulk of the conference hanging out with Stacia, the frugal fashionista behind Free To Be Stacia Lee. I also met Meg of The Compost Cook, who writes about cooking on a budget. And Crissy of IndieBizChicks and CleverChicks. She's another Michigander. 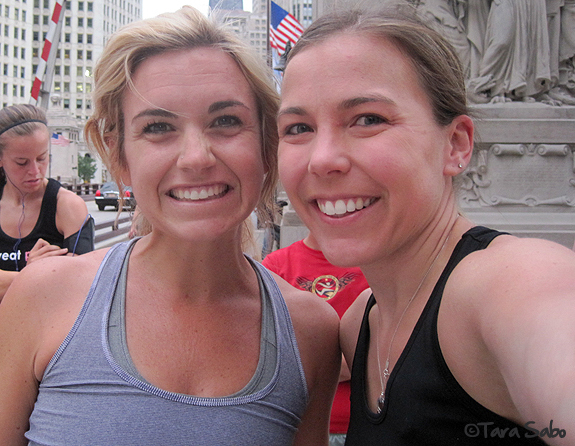 In addition to these girls, I also met Alyce and Jamie of SweatPink fame. In fact, they were my roommates for the weekend! When I saw that they would be attending BlogHer, I contacted them to see if they'd be interested in meeting up. I wanted to see at least one "familiar" face there, and when they shot back with an offer to share their hotel room, I couldn't say no. Seriously, they're so sweet. And so passionate about SweatPink and SweatGuru! I am so excited to follow these two girls as they continue to grow their businesses. 3) Connect with five brands. Confession: The expo aspect of this conference disappointed me a bit. 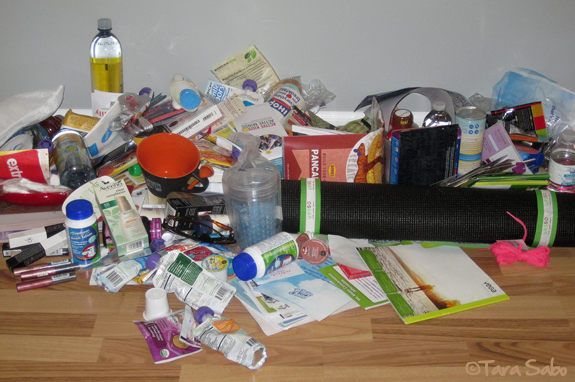 It wasn't very big, and there weren't very many brands there that I'd want to write about on Daily Dose. But I did meet Molly from NatureBox, having exchanged many an email with her prior to the conference. I've written about NatureBox before, was even an ambassador when they first rolled out their product. But after testing out a number of subscription boxes, and after meeting the NatureBox team in person, I can honestly say that I back them 100%. 4) Attend at least two panels that are worth talking about on Daily Dose. 5) Run fast on Friday, then run nine miles on Sunday. 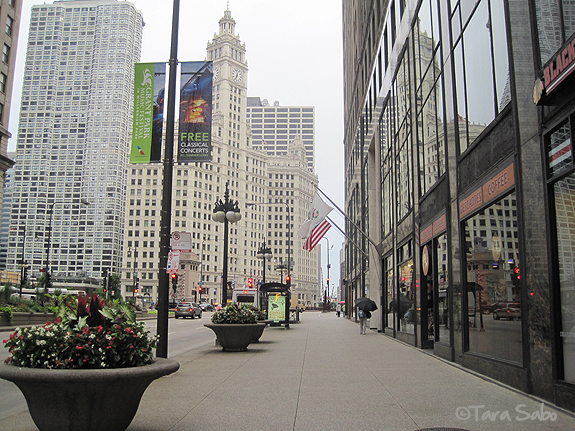 Jamie and I ran the Best Buy 5K on Friday morning in less than 26 minutes, and then I hightailed it down Michigan Avenue to attend a yoga event sponsored by Yasso frozen Greek yogurt bars. And my last two goals? Trader Joe's and "have fun"... I mean, obviously. I was at Yoga with Yasso too. We should've compared schedules! Next time around, for sure. I'm glad you had fun! Karma indeed Tara! Love the recap! Great recap!! It was so much fun - I walked/ran the 5K because I ended up making new friends and it was too hard to get to know one another while running hehe! But it was great to get out there. It did feel like an entire week's worth of events in 2 days though, wow. Wish I had met you, as I am part of a health/wellness blog!!! Hopefully we'll have the chance in the future!